While automakers may have held the key to the ignition, it was the automotive stylists who often held the key to success. Never was this more evident than in the 1930s. In a last ditch effort to reignite Auburn sales during the Depression, E. L. Cord made a bold, some might call it foolhardy move in 1934, spending half a million dollars to redesign the entire Auburn model line. Duesenberg president Harold T. Ames was put in charge of the company and when the new models failed to increase sales, Duesenberg’s chief designer Gordon Miller Buehrig was given a modest $50,000 and told to do what he could to upgrade Auburn styling once more for 1935. “With a $50,000 budget, we couldn’t do much,” Gordon remarked years later. “The decision was made to do nothing to the chassis or body and concentrate on the front end sheet metal and fenders.” Buehrig performed a miracle. His design for the Boattail Speedster became the most famous Auburn model ever built, a car with all the character and vitality of a Duesenberg. 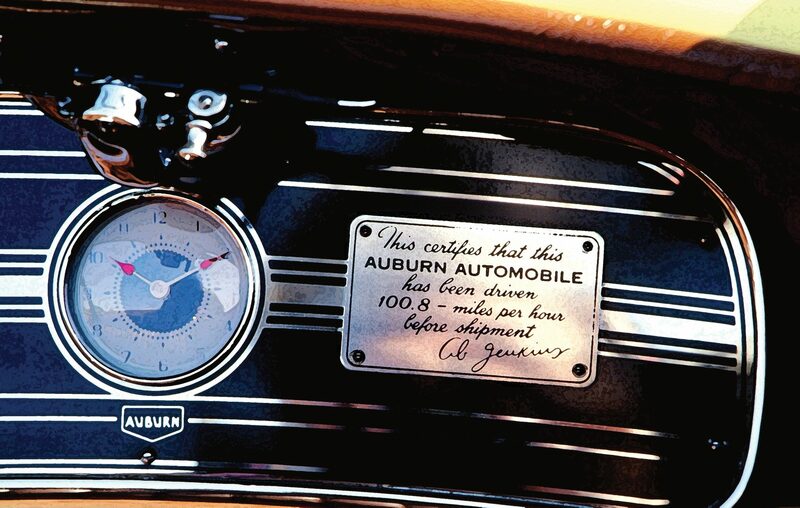 It was fast, guaranteed, in fact, to exceed 100mph, and so stated on a dashboard plaque which read: “This certifies that this Auburn automobile has been driven 100.8-miles per hour before shipment.” And it was signed by land speed record holder Ab Jenkins. The Auburn 851 was sporty, shaped like a comet, big headed, wide fendered, with four exhaust pipes cascading out of the left hood side panel. There was just a hint of a cockpit, resembling more an airplane than an automobile, with the remainder of the body consumed by a sleek tapered, boattail and pontoon fenders. “The 851 was the most flamboyant American car design of its time,” wrote General Motors stylist and historian Dave Holls. A virtual icon for speed, it was everything but Auburn’s savior. A total of 500 were built between 1935 and 1936 (the latter as the Auburn 852). Alas, the 1937 Speedsters never arrived. Nor did any other Auburn model. Buehrig is perhaps the most revered of all American designers from the classic era. And while the Auburn is one of his greatest designs, his signature car was another model commissioned by E.L. Cord, the 1936-37 Cord 810 and 812. They have been hailed as the most beautiful automobiles ever designed, and while there may be dissenting opinions, there is no question that they simply shocked the automotive industry out of its Depression-born complacency. In one bold stroke of his pen Buehrig had brought a dramatic end to the way automotive stylists looked at the front of an automobile. The grille was gone, and so too, were fender-mounted headlights. Buehrig had not only broken the rules of design, he had rewritten them. The 810 and 812 (the latter introduced in 1937 with an optional supercharged engine and Duesenberg-style external side pipes), were exceptionally well-balanced cars with a lower center of gravity than most and a lower unsprung weight. The powerful Lycoming engine, either normally aspirated or supercharged, delivered quick response, 0 to 60 in 20 seconds, and with the blower a mere 14 seconds elapsed before reaching the mile-a-minute mark. Equipped with Lockheed hydraulic brakes to bring the high performance Cords down from speed with ease and reliability, basically everything on the 810 and 812 was done right, it was just done too late to save the company. America was blessed with a wealth of talented designers in the 1930s, and among them Ray Dietrich was certainly the most prolific. He was a one-man design house. 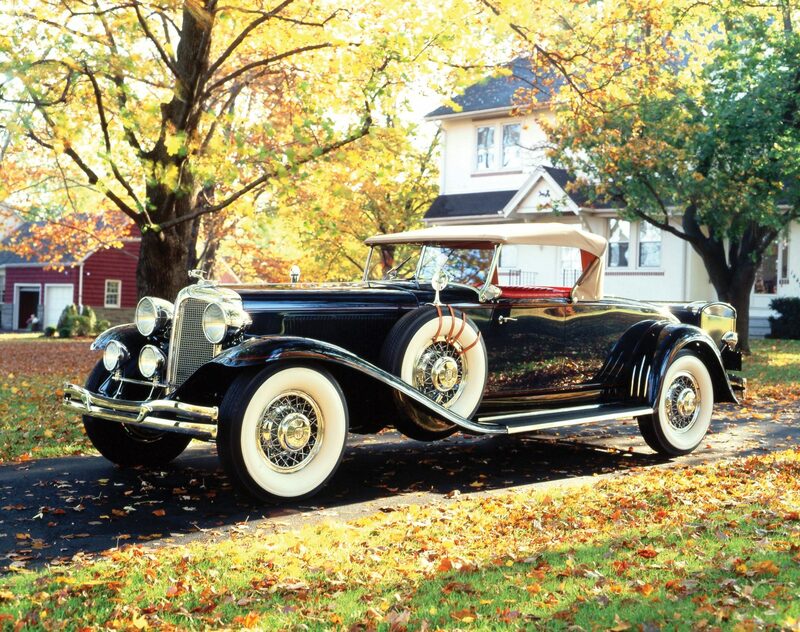 Throughout the late 1920s and early 1930s, he penned the designs that in many ways epitomize Packard’s greatest era. From his visions of what an automobile should look like, Dietrich proposed features that would neither copy nor embellish on existing trends, but rather establish new standards other automakers would follow. Although he had already left for Chrysler’s side of town by 1933, Ray Dietrich’s designs for Packard led to the creation of the most famous American car of the 1930s, the Packard “Car of the Dome” featured as the centerpiece of the 1933 Chicago World’s Fair automotive exhibit. One of the founding partners of LeBaron, along with associates Thomas Hibbard and Ralph Roberts; all three would go on independently to design some of the greatest automobiles of the 1930s. Hibbard went to Paris with Dutch Darrin to establish Hibbard & Darrin. And following Dietrich’s departure in 1927, Roberts continued at the company helm with his multi-talented assistant, sketch artist Roland Stickney, the pair making LeBaron one of the industry’s preeminent design houses in the 1930s. Dietrich left LeBaron to open his own design firm in partnership with the Murray Body Corporation of Detroit—then the largest supplier of sheetmetal stampings in the auto industry. Dietrich Inc. became the custom body division of Murray; however, Ray Dietrich chose to distance himself from the financially troubled parent company, moving into a separate building that put him near the Packard factory on East Grand Boulevard. The LeBaron “sweep panel” design was a trend-setting styling cue introduced in 1929 on the Model J Duesenberg. Dietrich’s principal client in 1927 was Edsel Ford and the Lincoln Motor Company, which had helped fund the recapitalization of Murray, but Dietrich managed to work both sides of the street, in a manner of speaking. In addition to designing cars for Lincoln, he had an agreement with Packard, and by the end of the year he was at work on a new series of semi-custom designs that would be built exclusively for Packard. 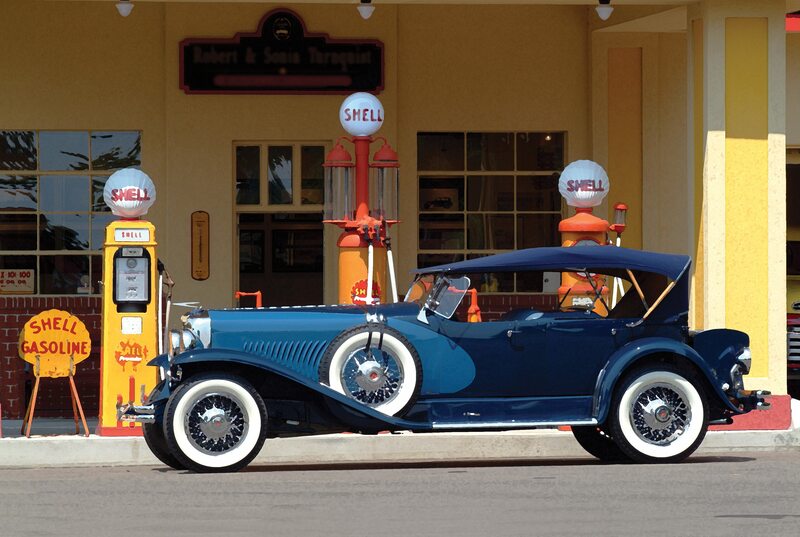 By 1929, Ray Dietrich had completely revamped Packard styling from the flagship Custom Eight to the new Standard Eight. 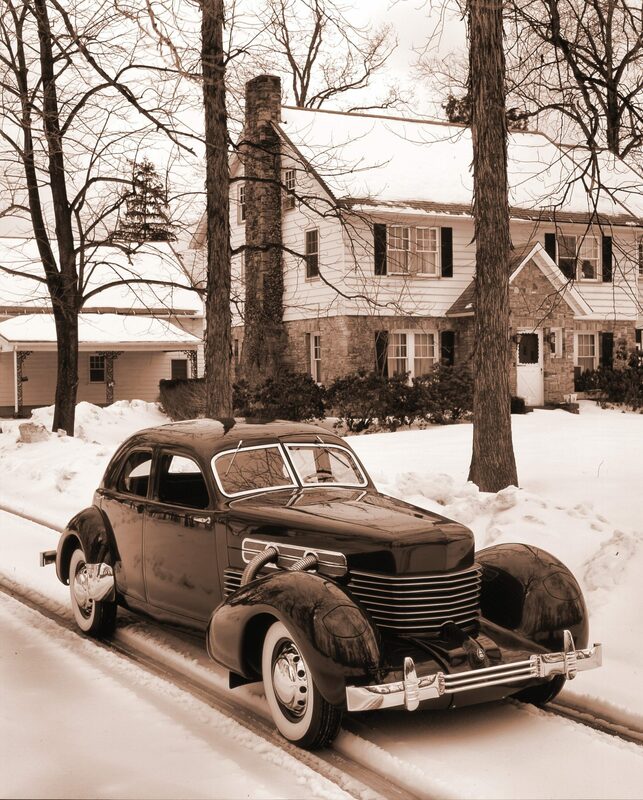 The Dietrich semi-custom line had a noticeably different appearance, from its longer 145½-inch wheelbase, and taller, wider radiator shell, to Dietrich’s distinctive trademark single beltline — a wide molding at the top of the door panels, narrowing at the windshield post, and continuing forward along the length of the hood to the edge of the radiator shell. 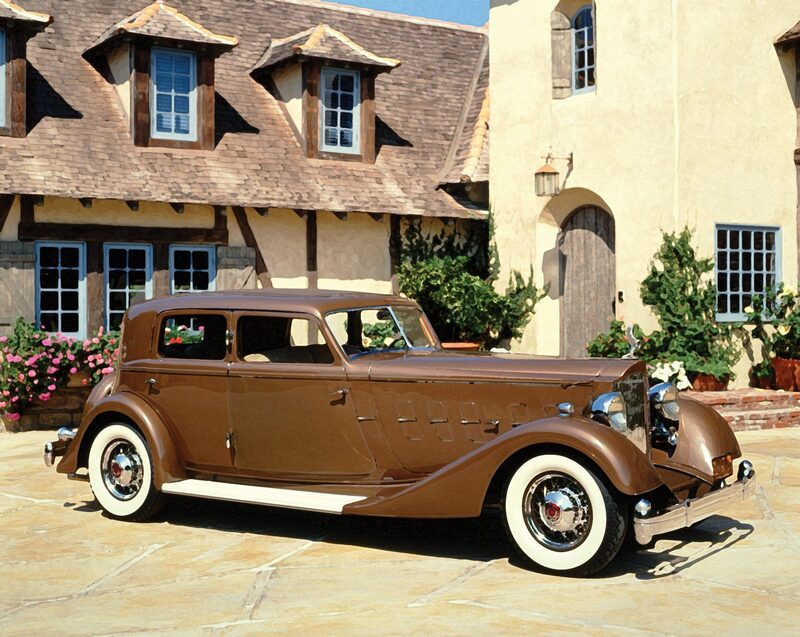 This was to become a styling trait that would distinguish Packard coachwork throughout the early 1930s. Packard would be building Dietrich body designs well into the 1930s, by which time Ray Dietrich had moved on, heading up the design department for Chrysler. Ralph Roberts created the long hood design made popular by Chrysler in the early 1930s. Frank Hershey was another legendary American designer who not only left his mark on the 1930s but on the postwar era as well. Designing some of the most celebrated body styles for the Walter Murphy Company of Pasadena, Calif., Hershey also worked under the legendary Harley Earl at GM’s Art & Colour Section, and in the 1950s headed the design team that created another automotive icon, the 1955-57 Thunderbirds. Hershey was not the only classic era stylist to make the postwar transition, Gordon Buehrig also found his way to Ford in the 1950s and played a significant role in yet another legendary Ford Motor Company design, the Mark II Continental. Harley Earl is arguably the greatest designer of all time, having created legendary body styles for General Motors from the late 1920s through the early postwar era. 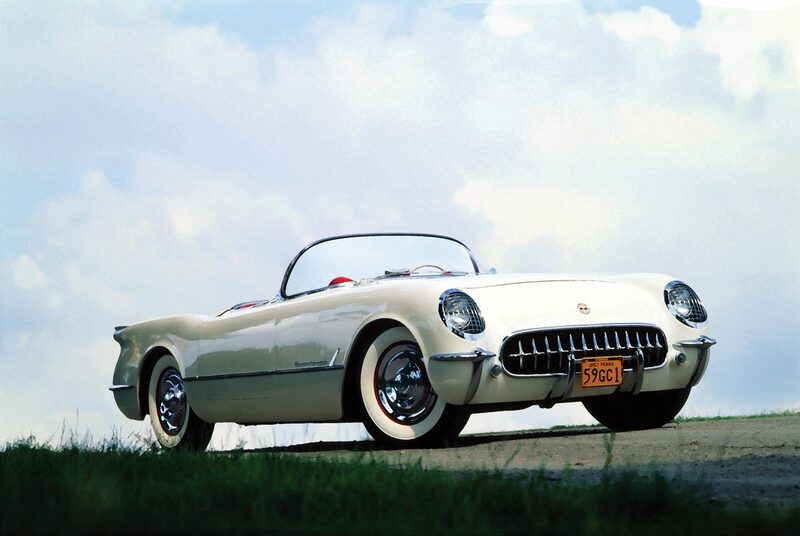 It is hard to say which design he is best remembered for today, but certainly his most recognizable is the 1953 Corvette. 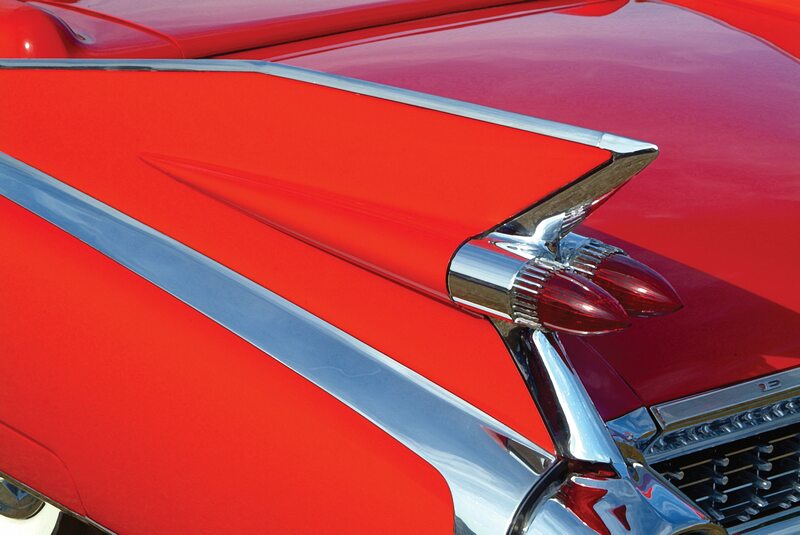 Dave Holls designed more than a tailfin for 1959; he created the visual icon of an era. If you have an early model American or another collectible you’d like to insure with us, let us show you how we are more than just another collector vehicle insurance company. We want to protect your passion! Click below for an online quote, or give us a call at 800.678.5173.